Red Oak Opportunity Foundation (ROOF) was created by the agents and owners of Red Oak Realty. The primary source of the funds given out to the community comes from Red Oak Realty agents (100% donate), matched in part by the owners. The remainder comes from an anonymous angel, Red Oak Realty service providers, and its clients -- the buyers and sellers of real estate -- who share their sense of duty to community. Every penny donated goes directly to the recipients, as all administrative expenses are also paid by the owners of Red Oak Realty. Grants are determined by a rotating committee of owners and agents of Red Oak Realty. The recipients are grassroots groups from our East Bay communities who work tirelessly in the areas of housing, food distribution, health, social services, and education. For more information about ROOF visit our new website at www.redoak-roof.org. ROOF recently celebrated its 30th anniversary promoting the welfare of others by the generous donation of money to local causes at the beautiful Mira Vista Country Club. 2015 also marks ROOF’s milestone of donating $1,000,000 to small East Bay non-profits whose work makes our community better. Total grants to East Bay Communities this year is $70,000. Total Grants over the 30 years is $1,000,000. From a small but important idea of Red Oak Realtors giving money from each commission check to a couple of shelters to today giving to 35 organizations, Red Oak Realty is seriously local. Red Oak Realty is a Founding member of REBSEA, a Nonprofit Trade Association( Real Estate & Business Social Enterprises Association). REBSEA is accepting applications from prospective members in cities across the U.S. and Canada who share our belief of helping Nonprofit organizations in their community. Membership for those involved in Real Estate and Business is $100 per year, and there are No Fees for Nonprofit organizations to join and begin receiving donations. 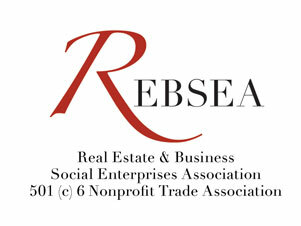 REBSEA-A Nonprofit Trade Association REBSEA is a Non Profit Trade Association that has been formed to promote the values of Real Estate Agents, Lenders, Insurance Agents, Businesses, and Nonprofit Organizations working together. This is Real Estate and Business Social Enterprise.